Ginger has been a constant source of strength for her family during difficult times. After losing her husband, Ginger raised her four children on her own. And this past year, she left work to care for her son, who was diagnosed with Leukemia. She did not leave the hospital during the 46 days he was receiving treatment. Ginger also ensures that her family has meaningful opportunities to connect. She hosts daily family dinners, which have become Karla’s favorite part of returning home. 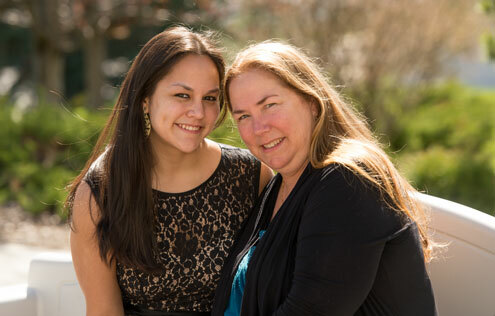 Maria has always worked long hours and cared for several other children, her daughter, Kelly, wrote in her nomination. Maria lived through the civil war in El Salvador as a child and had to flee the country at the age of 14. Kelly wrote that her mom has overcome language barriers, discrimination, and PTSD that she developed during the war. A domestic violence survivor, Brenda Welch has fought through mental and physical trauma, and has repeatedly put the care of herself and her children first. She has demonstrated perseverance to her community and to her children. Her daughter Saurina says “With such a strong woman as a role model, my sisters and I have been taught resilience, and the power of our voices. We have been taught to talk away from someone who doesn’t treat us with respect, and we have been taught to understand the value of our lives.” Today, Brenda is a continual source of strength to her three daughters. She is a huge supporter of her daughter’s dance classes and is constantly backstage for competitions and conventions. Brenda met every goal set for her at the hospital and can once again drive and is back to work as a childcare provider. 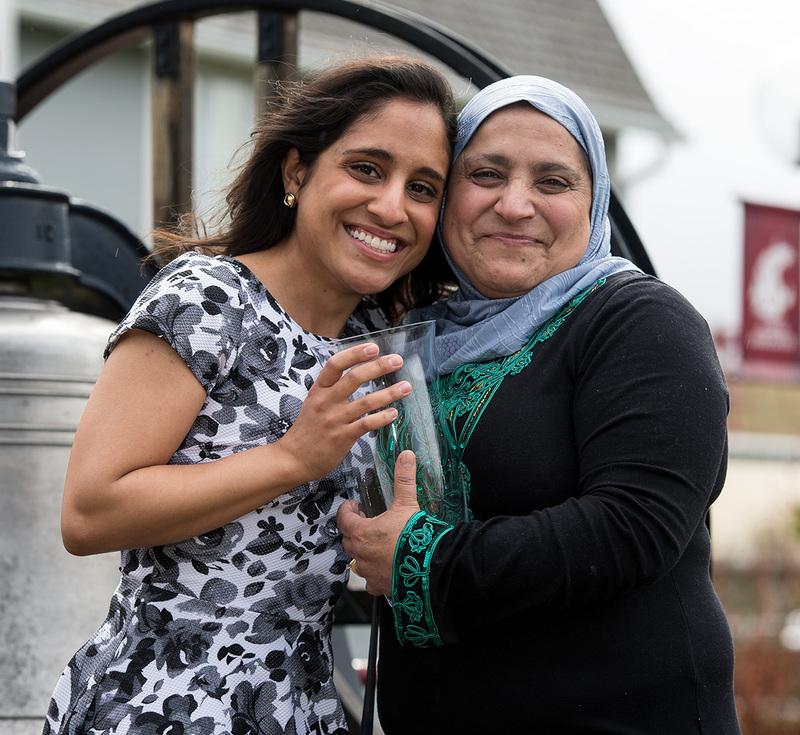 2015’s Mom of the Year Naseem Shah was sent by her family to the U.S. from her war-torn hometown in India when she was only 13 years old. She overcame racism, discrimination, and other hardships to eventually earn a college degree, marry, and raise three daughters. 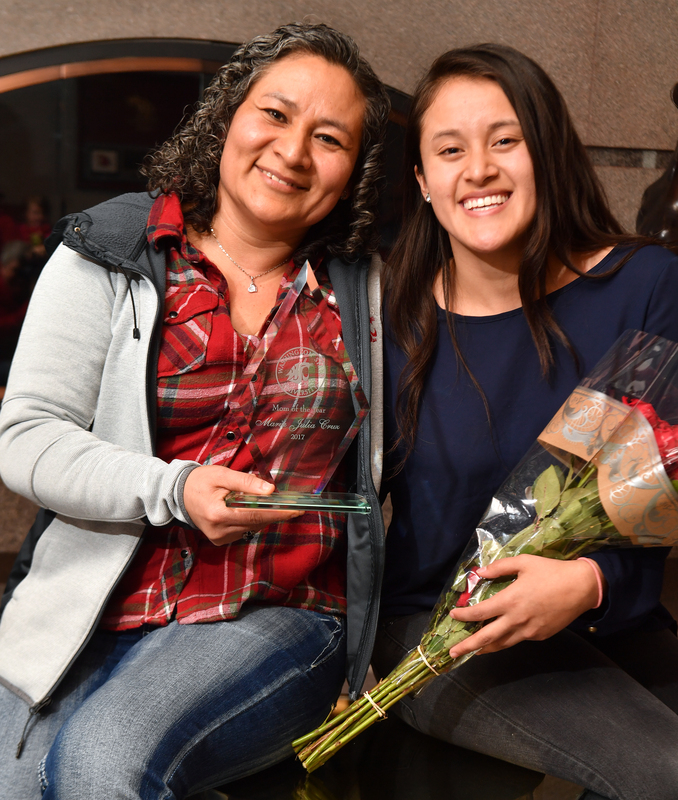 Maria Blackburn, the 2012 Mom of the Year recipient, sacrificed her free time and energy so her two oldest children could attend WSU. Maria is the mother of WSU students Bryan Blackburn and Krystal Blackburn Funk. Maria works as a full-time social worker and a care nurse for her youngest son, Derryck, who has muscular dystrophy and autism. 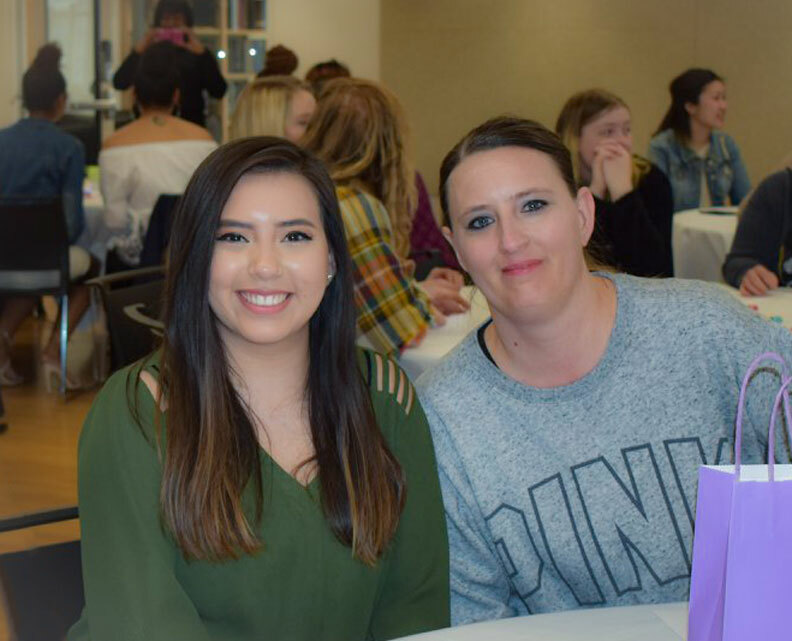 “She’s been sacrificing a lot of her free time, a lot of her energy and everything so that me and my sister can continue on our education while she stays at home as a single parent taking care of a son with disabilities,” her son Bryan said. 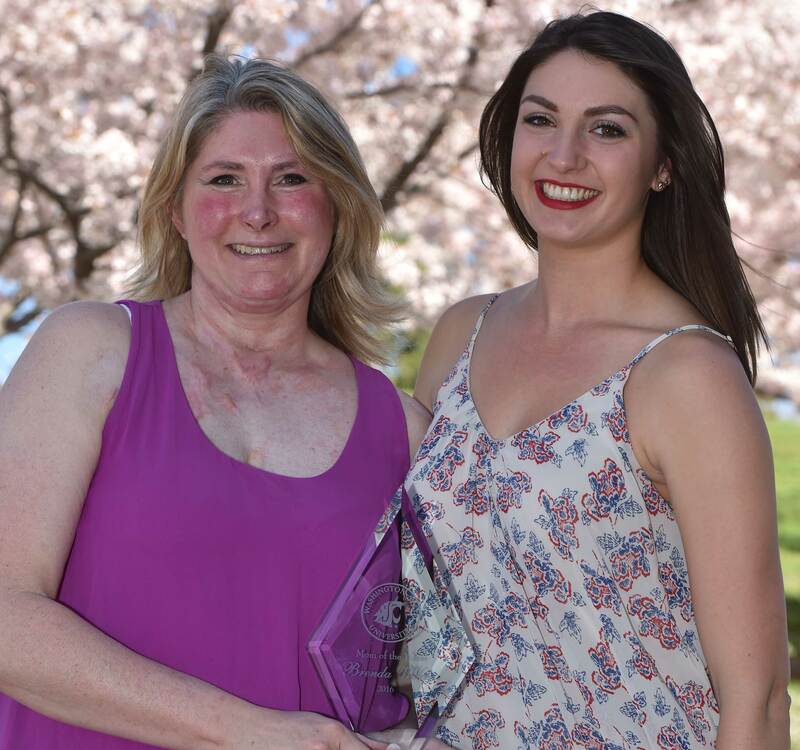 Dorris Brueggeman and her husband adopted their daughter Nikki despite the many difficulties and the discrimination they faced during the process due to Dorris’s blindness. Le was described by her daughter Ann as “the hardest working person I know.” Originally from Vietnam, Le came to the United States with her children during the Vietnam War.